Do yourself a favor today… take just 3 minutes (put on a timer if you must) and mentally go through your ‘whole’ body then actually – physically, STRETCH each part of your body. Fingers, toes, legs, wrists, ankles, arms, shoulders, stomach area, neck, face, ears, hips, thighs, jaw, chest …. I’m not talking split in half, just give everything a once over loving tug, to say “I know you are here and I appreciate you.” If you can not physically move then please, take a moment to visualize gentle movement with love and intention. 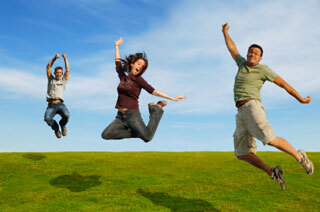 Your body will say ‘thank you’ by releasing endorphins and other wonderful hormones. Thank you for ‘loving yourself’ today because it not only helps you, it helps the world. Remember – we are all energy and we are all connected.